Pet friendly room for all size pets, with a private pet yard! 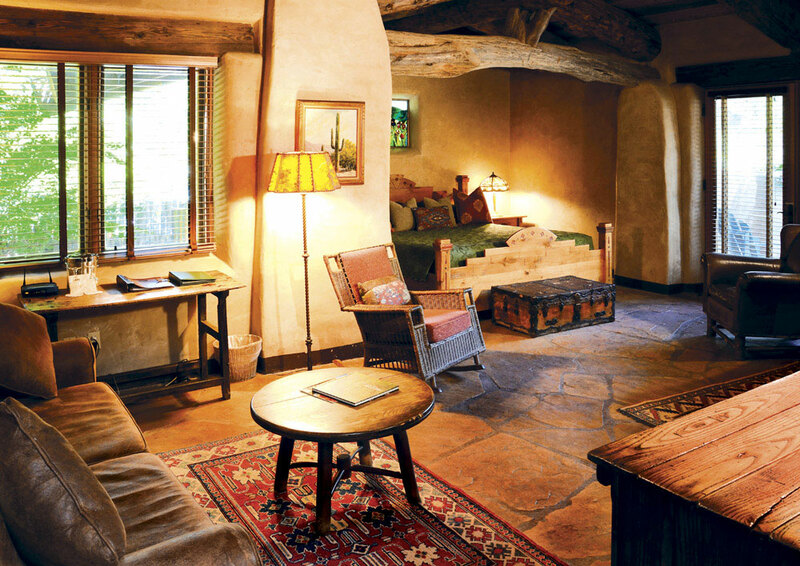 This spacious room is a work of dramatic natural beauty at El Portal Sedona Hotel. 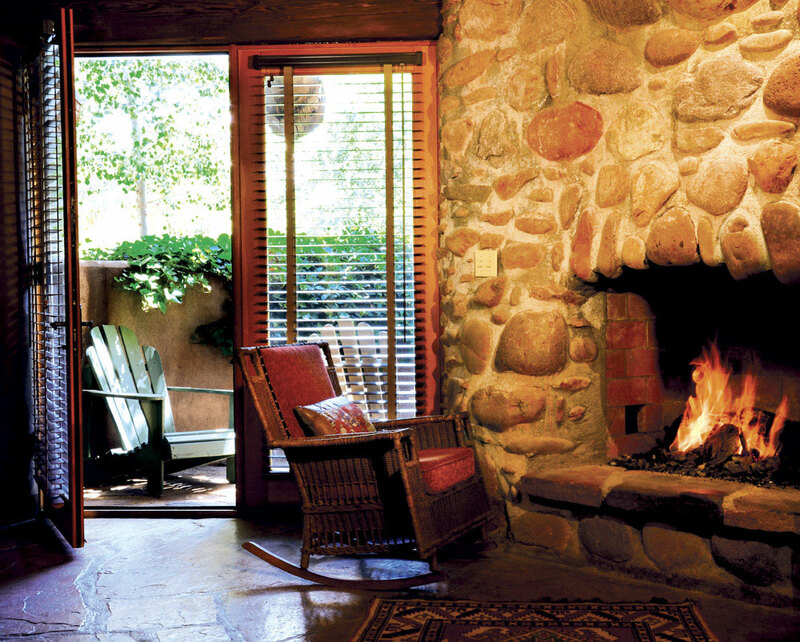 A vaulted log beam and rafter ceiling joins a full-length river rock fireplace, an ideal spot for a cozy interlude in leather chairs before the fire. 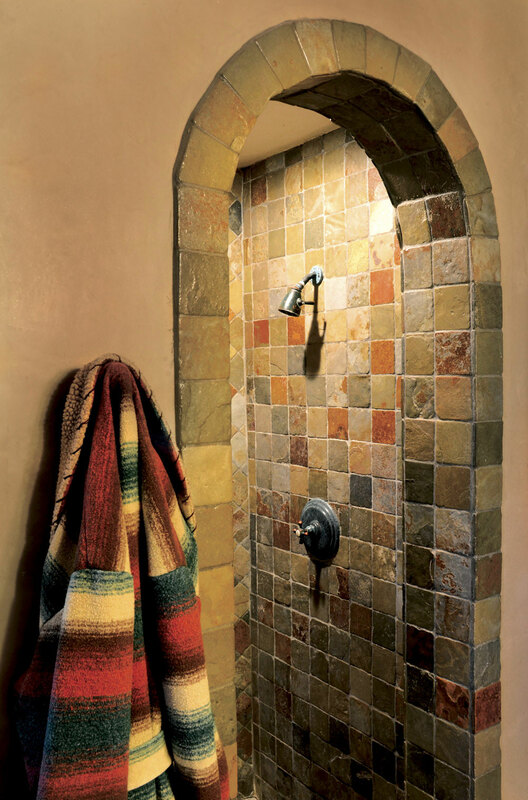 A deep alcove with an inset stained glass window cradles the comfortable king-sized bed. The random flagstone floor runs throughout the space, which includes a queen-sized sleeper sofa that will accommodate two extra guests. 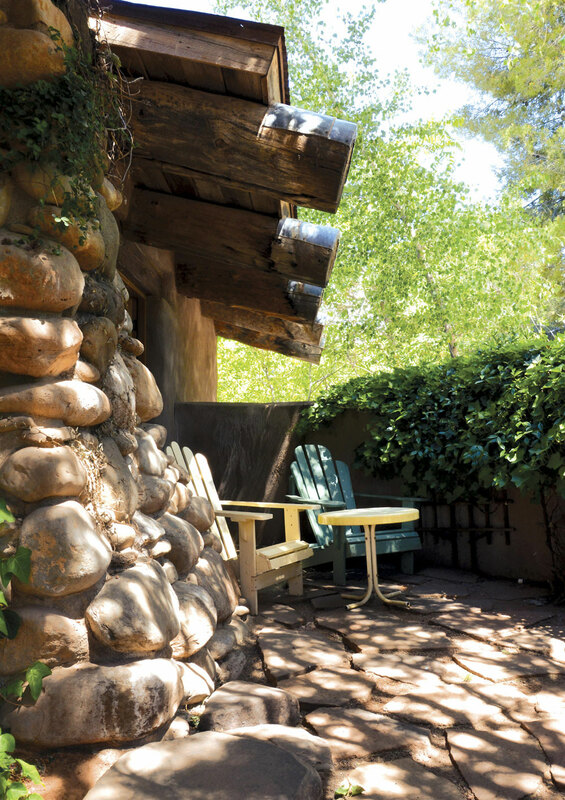 Enjoy breathtaking views from the private patio. 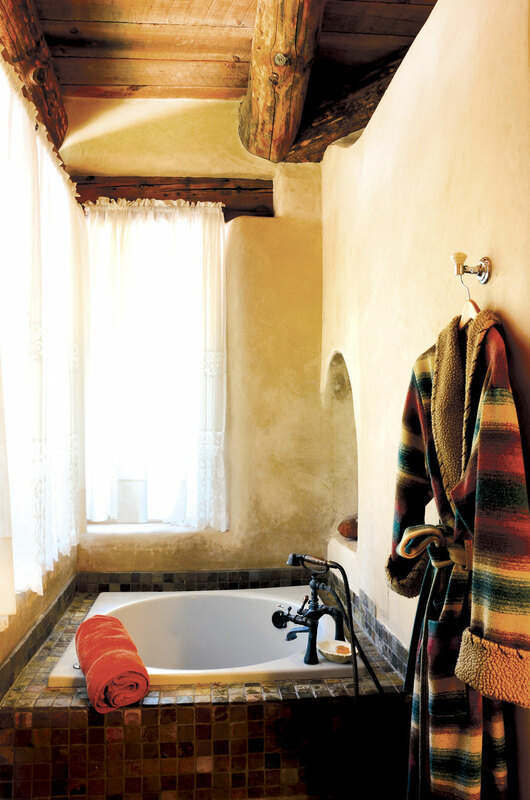 The luxurious bathroom offers a separate shower, soaking tub, stained glass accents and double sinks. 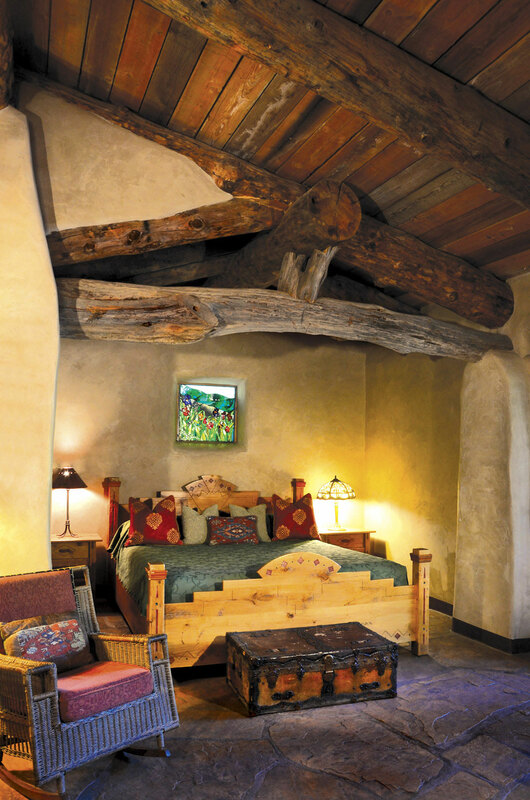 This is a pet friendly Sedona room for pets of all sizes with a private fenced patio.